My friend Sargam is very modest about her cooking skills. Yet she does not cease to surprise everyone with ever so delicious food and yummy snacks. The best thing is that her recipes are quick and simple. 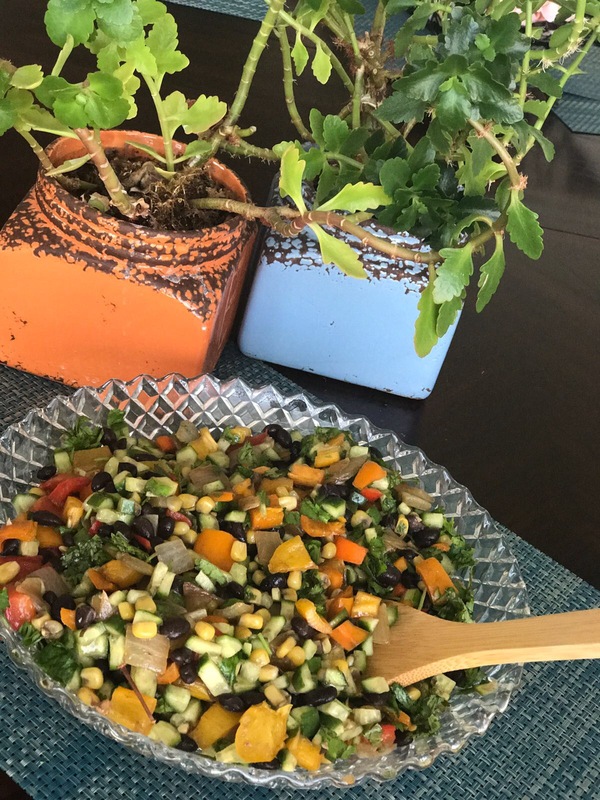 She served us this summer salad last month when we visited her. We instantly fell in love with this salad. 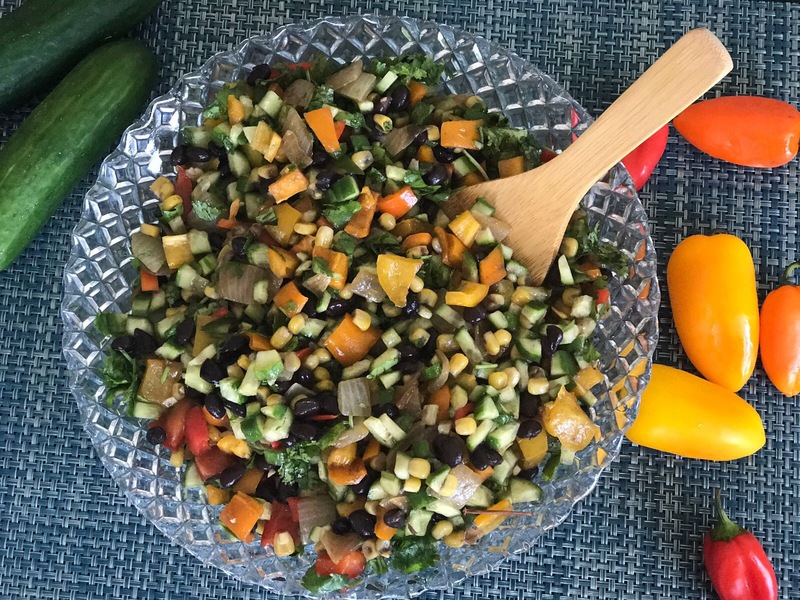 When black beans and corn are combined with crunchy cucumbers, tangy lime juice and fresh cilantro, it tastes divine. This is one of those salads which you would want to make again and again. I have tossed this salad 3 times already this month. The measurements are not precise and you can vary them to your taste. Mix all the above ingredients in a big mixing bowl. Then add lime juice and cilantro. Adjust salt and pepper to suit your taste, mix well and enjoy the yummy salad!